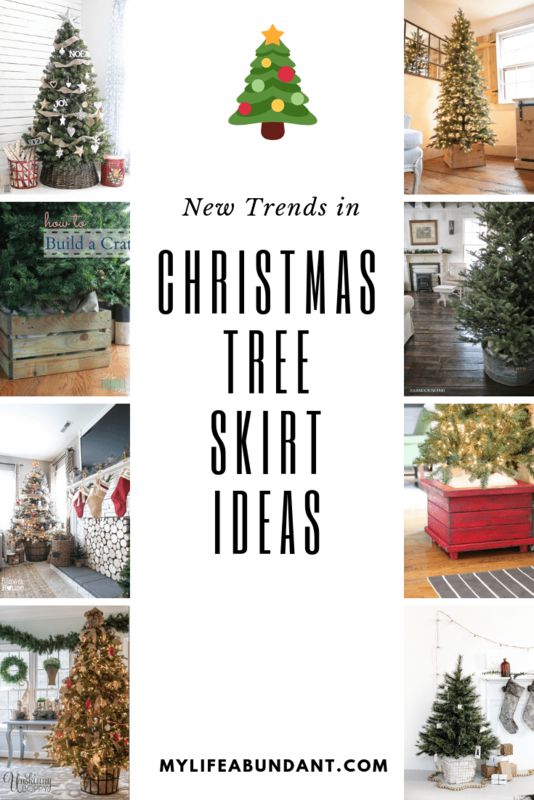 Start getting into the Christmas Spirit now with these adorable trending Christmas Tree Skirt Ideas! Christmas tree skirts are the final touch to any tree. The jewelry. The best accessory. I’ve been using an old quilt for many years now around my tree, but I’m in the mood to change that out and went looking for inspiration. This is what I found. 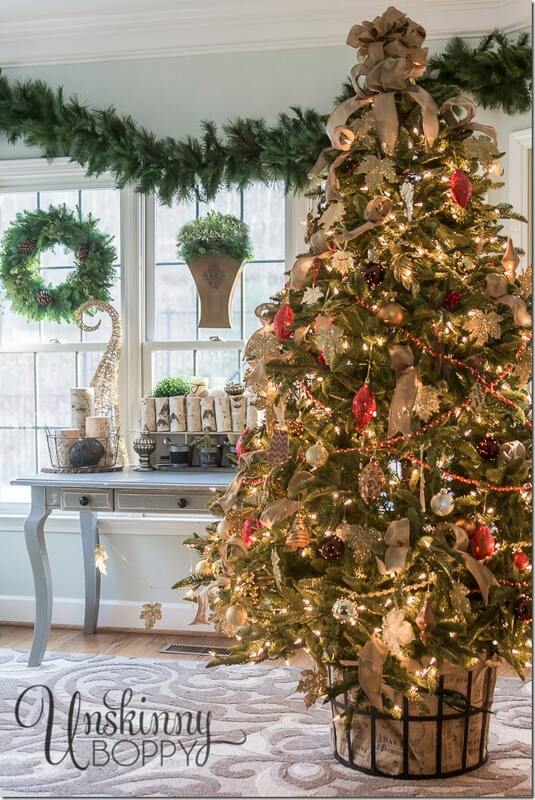 Baskets are such a great idea for a tree skirt and Live Laugh Rowe shows us how she uses a Basket Tree Skirt. I found some cute ones HERE. 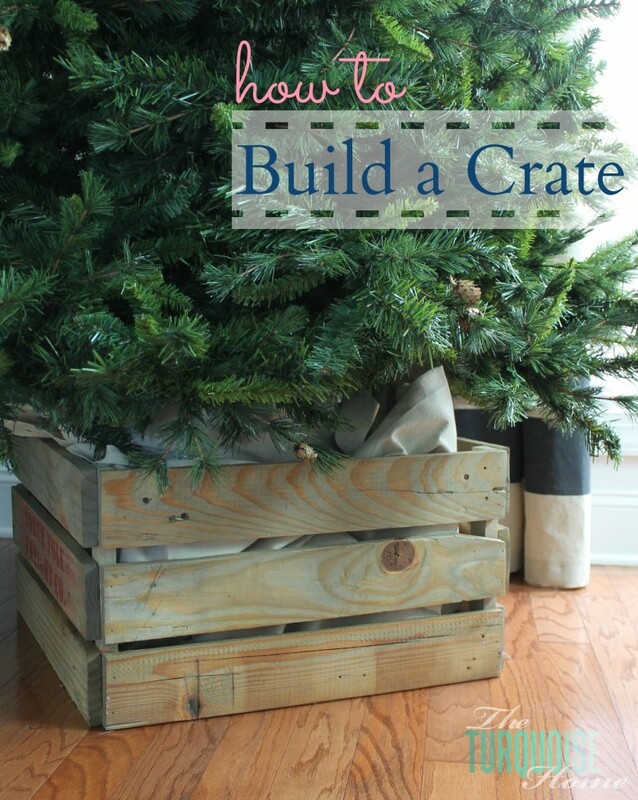 The Turquoise Home shows us how to do a DIY Crate Tree Skirt which is really easy to make because it is made from pallet boards. Stencil on the side and you have a country farmhouse look. I love this idea of using a half wooden barrel since I garden and have one of these in my yard. 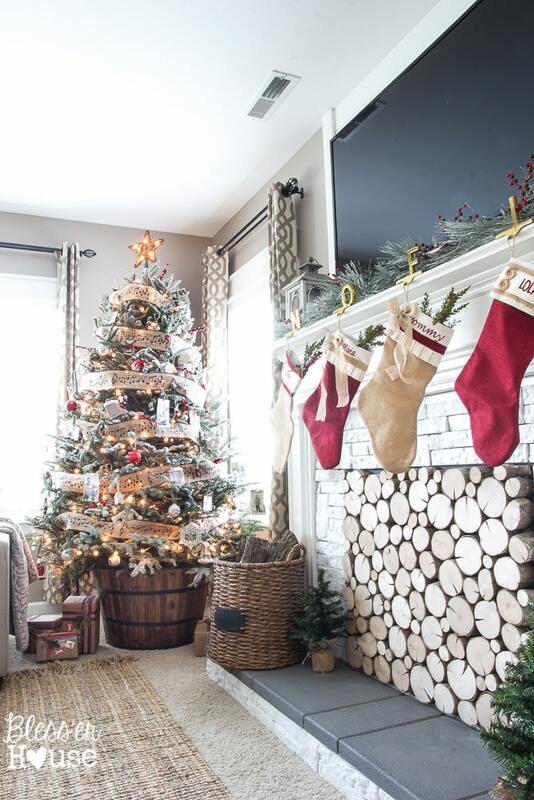 The Blesser House shows a perfect example of how she uses the Barrel Tree Skirt for her tree. There are also resin versions of these barrels which would last for many, many years. How about using a very large metal basket and burlap to fill in to make this Basket Burlap Tree Skirt by Unskinny Boppy. You could use so many different cloth options to fill it in. 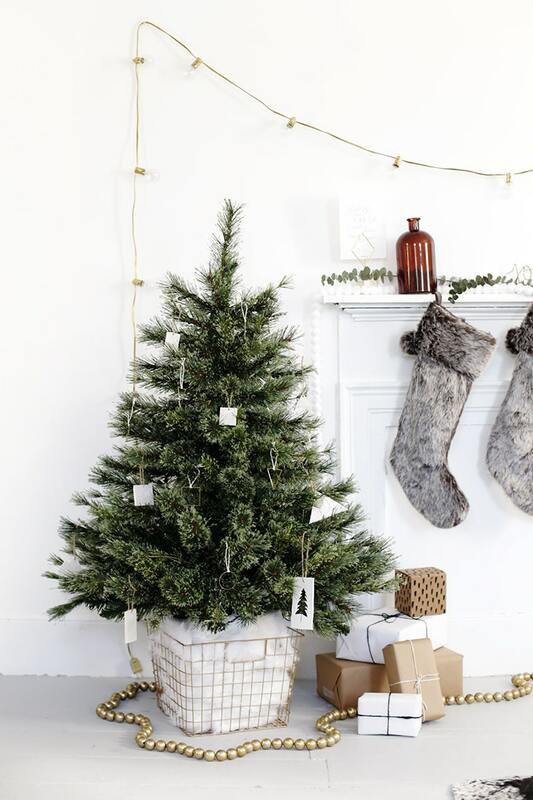 I love the smell of cedar and this DIY by Jamie Costiglio is another easy project for a DIY Cedar Box Tree Skirt. 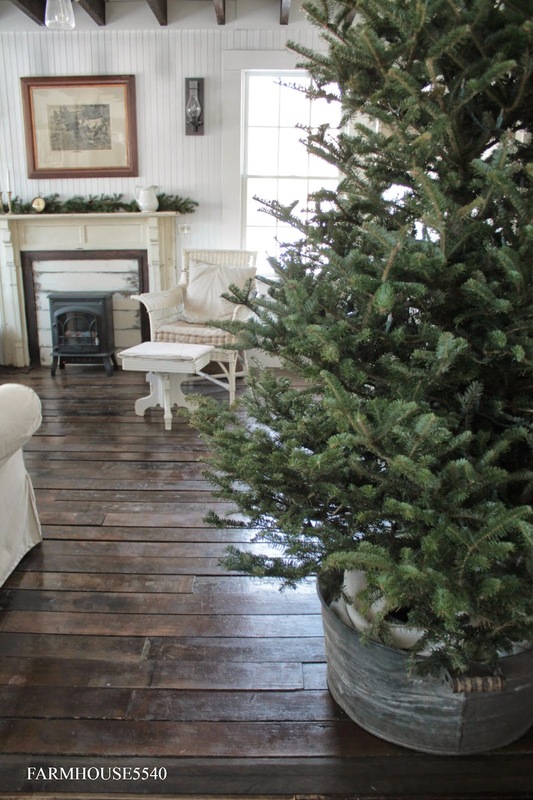 I have seen several versions of using a Galvanized Bucket Tree Skirt and I love them all. This is an example by Farmhouse 5540 to show you how easy this is to do. Here are several galvanized buckets HERE to choose from. What I love about this idea is the color. 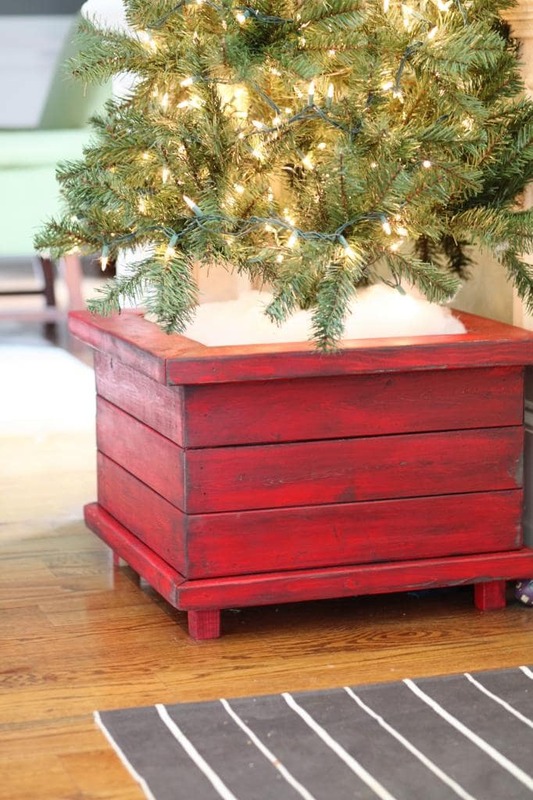 A DIY Planter Box Tree Skirt by Bower Power could also be used during the year as an outdoor planter. Very detailed instructions on how to make this planter box. 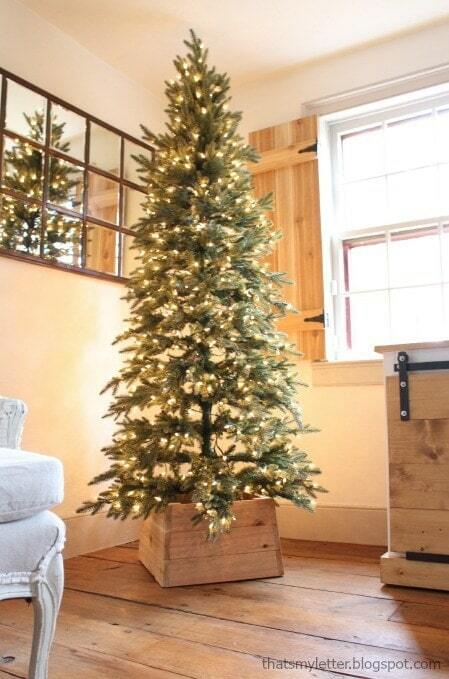 Have a small tree this year? 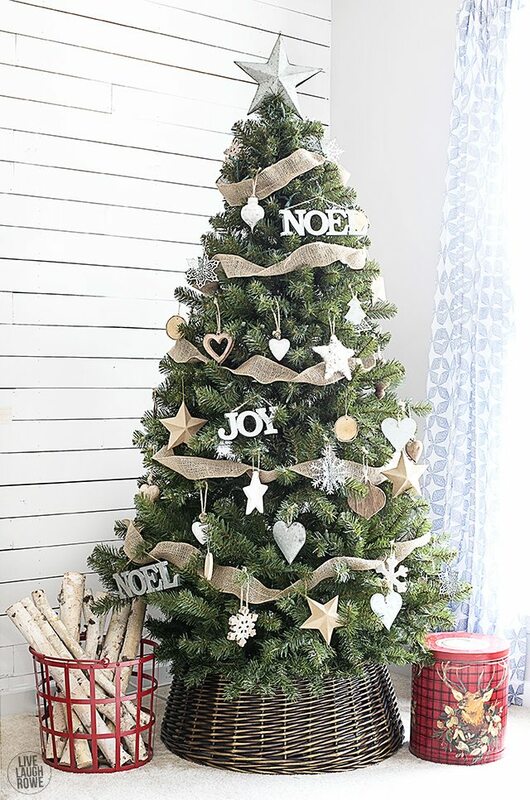 How about this idea of using a Metal Basket Tree Skirt by The Merry Thought. You can find one of these HERE.